JUSTICE is dead at the EPO. It’s not just on its death throes, it’s literally dead. Even judges are subjected to gross injustice and are now at the receiving end of legal bullying (e.g. the judge who is still permanently suspended and in limbo in Munich because of a defamation case). This is where ILO was, in principle, supposed to step in and intervene, but it does not. 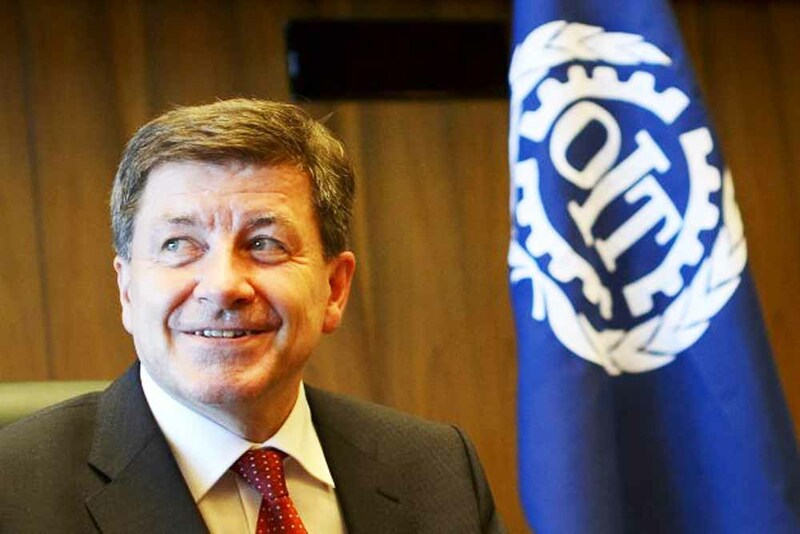 It’s embarrassing not just for the EPO but for ILO too. ILO hopefully recognises by now that it’s growingly complicit in EPO abuses because ILO is, for a verifiable fact, cited by Dutch authorities as an excuse for exempting the EPO from the law (even when it clearly and flagrantly violates Dutch law). It’s incredible that something so bad is happening in Europe and most politicians remain apathetic. They don’t wish to rock this boat for various personal/career reasons. “ILO hopefully recognises by now that it’s growingly complicit in EPO abuses because ILO is, for a verifiable fact, cited by Dutch authorities as an excuse for exempting the EPO from the law (even when it clearly and flagrantly violates Dutch law)”Focusing again on the aforementioned attack on the judge — a poetic move in the sense that it’s injustice against a justice maker — early in the month we wrote about the latest on this (planned party of Battistelli) and 11 days ago we learned that almost nobody will attend. Appeals at the EPO are no longer possible because judges admittedly lack a sense of independence and watch how Battistelli sneaks into the Boards, reminding them that they have no independence at all. “ILO failed to fulfill its duties, at least as far as the EPO is concerned.”The “president of the office” is Battistelli. He wants to absolutely control everything and he wants people whom he punished to celebrate this punlishment with him. What a nerve this sociopath has. The authors of the EPC must be turning in their graves (few are likely to be alive at this stage). Obviously a few more dark clouds over Battistelli’s achievements under the benevolent supervision of the AC. The Tribunal will exceptionally deliver in public eight judgments adopted at its 125th Session separately and earlier than the remaining 79 judgments also adopted at the same session. The eight judgments concern 2 cases against the CDE, 5 cases against the EPO and 1 case against the UPU. They will be announced in public on Wednesday, 6 December 2017 at 3 pm at the ILO (Room XI, floor R2) and will be published on the Tribunal’s website (ilo.org/trib) shortly after the delivery. The remaining judgments adopted at the 125th Session will be delivered on Wednesday, 24 January 2018.